P.kelyus maxilla fragment. Photo from LiveScience. 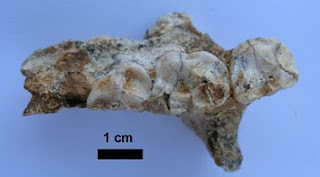 Remains of a new giant lemur species, Palaeopropithecus kelyus, was found in Madagascar. Dominique Gommery, a paleontologist at the National Center for Scientific Research (CNRS) in Paris, France said that the discovery confirms 20 years of speculation on its existence. So far, there are 3 species of giant lemurs identified in Madagascar, Palaeopropithecus kelyus, Palaeopropithecus ingens and Palaeopropithecus maximus. P. kelyus is the smallest of all three, its estimated weight is about 77 lbs. The largest living lemur in Madagascar is the Indri, which weighs about 22lbs. Judging from the teeth, P. kelyus might have chewed on tough food such as seeds and nuts. Read about the article from LiveScience: New Giant Lemur Species Discovered. I am going to draw your attention for a while to my personal life, just a little while. Enough to let you, ardent readers, know that The Prancing Papio is maintained by a college student who wants to be a primatologist someday. 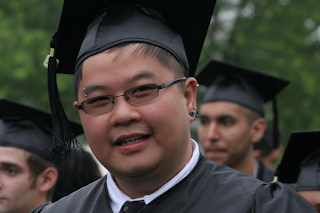 I graduated from Queens College yesterday with a BA in Anthropology. I am still finishing my Senior Honors Thesis, and hopefully graduate with High Honors in Anthropology (My grade has to be a B or higher to graduate with High Honors). I am honored to be recognized by the Queens College Anthropology department as well. During their Annual Honors and Awards Ceremony, I was recognized with an award and 2 honors. 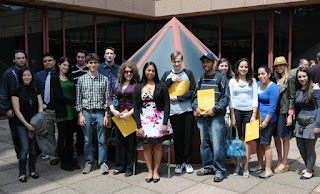 I was awarded Honors for graduating with a 3.9 GPA in Anthropology. For writing a Senior Honors Thesis, I was given the Thesis Honors and for being the President of the Anthropology Society 08-09, I was given the Service Award. Sorry for not updating this blog for almost 2 weeks. I just finished my finals and I am currently busy finishing my thesis. Oh, I also graduate this Thursday! Reported in gorillas and documented in chimpanzees, some apes actually cannibalize their own species. However, there were reports of orangutans cannibalizing their own babies were reported in the same forest area of Indonesia, just one month apart from each other. This might be the first report of an ape eating its own offspring. "Cannibalism has been documented in chimpanzees and reported in gorillas. Never before has any ape species been seen treating its own offspring as a consumable resource", said David Dellatore of Oxford Brookes University. Dellatore suspects that the mothers' stressed upbringing may have triggered their later actions. Read the article from BBC - Earth News "Orangutans cannibalise own babies". 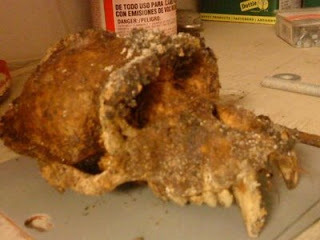 Primate Skull Found In Texas, But Which Primate? Read the article from NBC Dallas-Fort Worth, It's a Skull, But What Kind? In an effort to do my professors justice (yes ... Dr. Larissa Swedell and Dr. Sara Stinson), I am going to attempt to identify said skull. But before that ... am I the only one that cringes every time some says "Old World primates"? It's Old World monkeys! Monkeys! OK ... from the video and pictures, it seems to either be a chimp or a baboon. What differentiate a chimp and a baboon based on dental morphology is that chimps have Y-5 molars pattern while baboons have a bilophodont pattern. Judging from the video, around 0:15 mins. it seems that the upper molars have a bilophodont teeth. The sagittal crest also seem to connect to the brow ridge like an upside down Y. 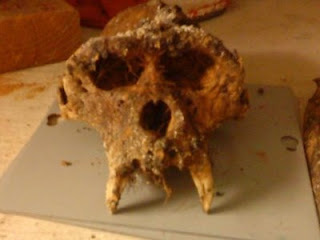 My guess is that this skull belongs to a baboon, a hamadryas baboon to be exact. Because canine size is sexually dimorphic in hamadryas baboon, this skull probably belongs to a male. Isn't he cute? 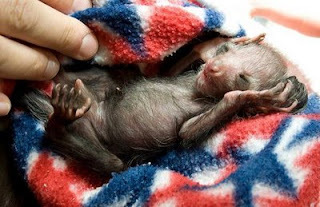 A baby aye-aye, born at the Denver Zoo. Photo from Denver Post. A pair of aye-aye from Denver Zoo made history this year on April 18th by giving birth to a healthy baby boy, the second aye-aye baby to be born in a North American zoo and the first aye-aye to be conceived in North America. The mother, Salem and father, Ozony came to the Denver Zoo last year as part of a breeding program from The Duke Lemur Center in North Carolina. Read the article on Denver Post: Aye-aye at Denver Zoo makes history. Aye-aye are endemic to Madagascar. Malagasy believes that the aye-aye is a bad omen and a harbinger of death. They believe that seeing an aye-aye means someone will die. The only way to prevent it is to kill any aye-aye in sight. Madagascar had enacted law banning the killing of the aye-aye. They are considered as Near Threatened by the IUCN Red List. The face of the first European, reconstructed by forensic artist Richard Neave. Photo from Telegraph. Using the incomplete skull and jaw bone in a cave in the southwest of the Carpathian Mountains in Romania, scientists had revealed for the first time the face of the first European. Scientists doesn't know if this modern human is a male or a female but using radiocarbon analysis they found that this individual lived around 34,000 to 36,000 years ago. Around this time, Europe is home to both Neanderthals and modern humans. Modern humans first arrive to Europe from Africa. The skull of this individual is human-like, though there are also some archaic traits such as large molars. Some scientists speculated that this skull belongs to a Neanderthal and modern human hybrid though it was disproved by many experts. 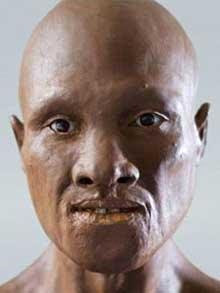 Richard Neave, a forensic artist used clay to reconstruct this individual for a BBC program about the origins of the human race and evolution. A new genetic survey by Dr. Sarah A. Tishkoff of the University of Pennsylvania and her team has found that modern humans originated in an area between Namibia and Angola, on the coast of southwest Africa. Read the New York Times Article: Eden? Maybe. But Where’s the Apple Tree? However, this harsh and inhospitable area is nothing Eden-like, they said. The origin of a species, like modern humans, is generally pinpointed to a place where its individuals show the highest genetic diversity. After comparing genetic data from populations around the world, the researchers pinpointed the population with the highest genetic diversity - somewhere on the coast of southwest Africa near the Kalahari Desert. The Bushmen or San people currently call this area their home. The researchers have also calculated the exit point of modern humans that left Africa about 50,000 years ago. The exit point lies in an area of the African coast of the Red Sea. If the "Out Of Africa" theory holds true, this tribal group of about 150 people that left Africa at that exit point displaced other archaic Homo sapiens populations from different continents, giving rise to the current modern human populations. The ancestors of simian immunodeficiency viruses (SIVs) have been dated by researchers and it's only a few hundred years old. These ages are substantially younger than previous estimates, according to a new study from The University of Arizona in Tucson by researchers Joel Wertheim and Dr. Michael Worobey. 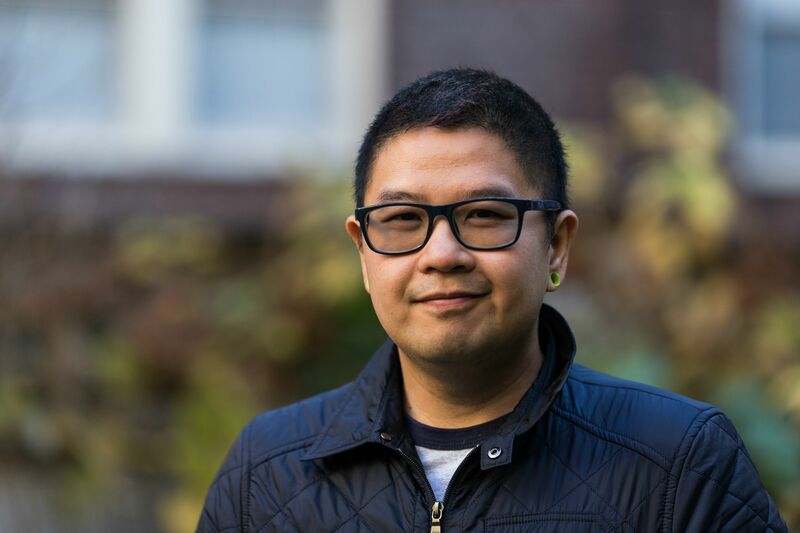 Read the article from PLoS Computational Biology: Dating the Age of the SIV Lineages That Gave Rise to HIV-1 and HIV-2. These SIVs jumped from chimpanzees and sooty mangabeys to humans at least eleven times, giving rise to several strains of HIV lineages. HIV is a virulent pathogen in humans. SIVs, however, rarely cause any disease in chimpanzees, sooty mangabeys and dozens of other African primates species that SIVs naturally infects. This leads to the hypothesis that SIVs co-evolved with their non-human primate hosts for over hundreds of years. Will we see a non-virulent HIV in the future as we infer the result of coevolution between SIVs and non-human primates? Will we solve the mystery of this coevolution,using its secrets to fight the HIV/AIDS pandemic?